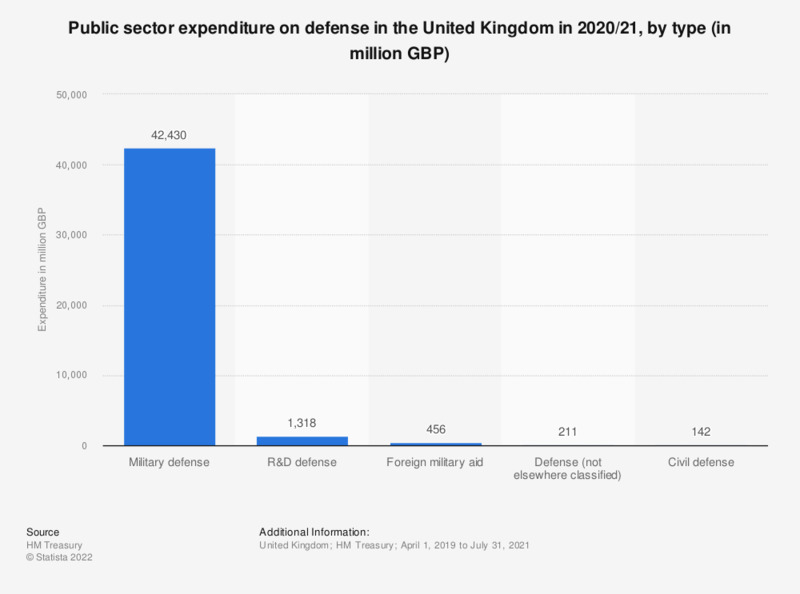 This statistic shows public sector expenditure on defense in the United Kingdom (UK) in 2017/18, by type. The majority of spending was for military defense. Research and development accounted for approximately 1.2 billion British pounds of the total 38.7 billion British pound expenditure. Everything On "Defense industry in the United Kingdom (UK)" in One Document: Edited and Divided into Handy Chapters. Including Detailed References.